When our merry band of pranksters hit the streets of New York earlier this month, after they for the third time had been booted from the Hilton Midtown, they were outfitted with "No eDiscovery" t-shirts and dishing out the flyers you see above. "Thanks for attending LegalTech!" they said to unsuspecting passers-by en route to the vendor hall. "Here's your eDiscovery invoice." Some of the recipients, getting the joke, grinned a knowing grin. Some felt blindsided, like they'd been served. Some crinkled up the invoice and trashed it. And one guy threatened to call the cops. The irony -- because this was a marketing stunt, not, you know, real life -- is that this stuff actually happens. In 2016, a quarter century after the birth of the first search engine, people are still paying out the nose for discovery, and yet generally have no idea what exactly they're paying for. Heck, even flummoxed federal judges have thrown their hands up -- like, $3.1 million? I guess! It's not so much that discovery costs are disproportionately high, which often they are, it's that they're frequently unexpected. If your case is a giant birthday bash, eDiscovery is the party crasher that pops out of the cake wielding a Super Soaker and Silly String. That was part of the inherent joke of our LegalTech flyers: the surprise factor can be more distressing than the actual amount. Then again, perhaps the most alarming reactions to the flyers were the stone-faced non-reactions. Apparently some grizzled vets have become so accustomed to these outrageous fees that they fail to see the joke at all, or thought we had undersold it. "Looks like I got a 10 percent discount," one lawyer memorably quipped, suggesting that the thing we intended to be blunt parody was in fact not absurd enough to match reality. Discovery isn't astrophysics, but you'd never know it based on the labyrinthine jargon buried in the line items of some real-life invoices submitted by real-life vendors. Take a look at this one. Hibernated subcollection? Volume pre-endorsement? Automated priv AUP? Hunt time? It's like the accountant was Bizarro Oprah. While it may be true that not all discovery is as simple as Upload --> Search --> Download (though the majority of it can be), the seemingly willful obscurity with which some of these services are provided and described reflect the disconnect between eDiscovery providers and the rest of the modern world -- and also masks the fact that a lot of this is just marked-up button-pushing that exploits the lack of education in the space. We're living in a society where you can buy a drone from your smartphone for $47 with one click and have it shipped to your front steps by tomorrow morning. But we're willing to swallow "custom work" fees to image an email? Really? There is a tome to be written about the burden the eDiscovery industry's inertia has inflicted on the greater legal system, but what's important to highlight here is that things are changing. There is a groundswell of angst, savvy and common sense led by forward-thinking consumers of legal services, insurgent technology companies, progressive lawyers, and organizations like CLOC who are forcefully rejecting the status quo in favor of smarter, more accessible solutions, fees that align with value, more predictable and just outcomes and seamless user experiences. This is why we created the fake invoices, but more to the point, this is why we created Logikcull. We want to lead this movement, and we want you -- if you, too, have had enough -- to join us. Download the invoice here. Send it to your friends, colleagues, business partners. Send it to your vendors. Tell them, yes, you're tired of this bull----, and that it's time to move forward. 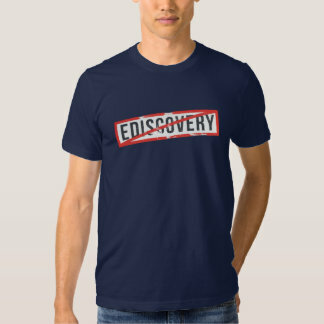 Interested in putting an end to eDiscovery? Let us show you how!